We were part of a group that went out and issued 104 contracts and 40 hours. And this is all SBIR phase one awards. But phase one award technically go up to $150,000. Our average order size was approximately $70,000. And in that phase one, it’s really just like a proof of concept. The startup investment landscape is changing. and world class companies are being built outside of Silicon Valley. We find them, talk with them and discuss the upside of investing in them. Hello, hello. Hello, and welcome to the upside podcast, the first podcast finding upside outside of Silicon Valley. I’m Jay Clouse, and I’m accompanied by my co host, Mr. Frequent Flyer himself Eric Hornung. That’s Mr. Platinum medallion to you, sir. Yes, Mr. Platinum medallion. You You had to show that off just a few days ago. I did I I could have cropped the picture a little higher. And you could have seen my flight itinerary and you didn’t need to know my status. But did I leave the picture a little low on purpose? Yeah, because I, you saw it too. I didn’t leave the bottom of the screen, I cropped it up just enough that you saw I was sitting in first class. Could you have just texted me your arrival time? Yes. Did you instead send me a full picture of your itinerary and your Platinum medallion status? Yes, you did. I did. And that was not at all conscious. You know, it’s just it’s just part of who I am. Really? Isn’t it crazy that frequently? We’re just thrusting our fleshy human bodies 10s of thousands of feet in the air at hundreds of miles per hour. You mean like frequently were flying? Yes. But like, it’s crazy that that’s like the physics of what our body is doing. Or just like, I’m just trying to sit and work on my laptop or like, I’ll walk to the restroom. And I’ll just like, kind of lose my balance. And I’m like, I’m an idiot. But the same time I’m traveling at hundreds of miles per hour. This is like an amateur trying to do a Louis CK that. I stopped doing stand up for a reason. Look, I guess the only natural segue here is delta. If you’re listening, we’d love for you to sponsor the podcast. And I wouldn’t mind being elevated to diamond medallion. Did you know that I had a companion pass just last year on Southwest. My only companion last year it was my mother? Didn’t you have some big scheme? I did have a scheme. I bought the domain, share my companion pass calm. And I was single at the time. And I was going to make a one page dating profile all about me that was going to try to syndicate and get placed on BuzzFeed so that I could get some inbound attention. And so you you can only use that three times, though. So you had three flights with a random person. And that’s a great first date. Because if you don’t like someone on an airplane, you know, you really learn a lot about them. Yeah, I mean, I thought it was a good way to cast the net wide fill the top of my dating funnel. But you know what, Eric, it all worked out. I’m not looking anymore. Very happy. You should be happy. friend of the podcast Mallory who I have only met via FaceTime which is a travesty to shame. My girlfriend met her via FaceTime too, but that was a whole different circumstance. Yep, yep. Yep. Fun times at CES and speaking of CDs, and speaking of frequent flyers. Today, we are sharing a conversation with Vince PEGORARO and Luis Cordova. Vince PEGORARO is a capability lead of Agile contracting, and Luis is a liaison. A public affairs and marketing for AV works and works provides a public workspace for Air Force innovation and collaboration. This allows AV works to identify and connect people and read sources across government, industry and academia. In partnership with Virginia Tech, Applied Research Corporation I works specializes in identifying and engaging experts to support airman innovation projects, forecasting and reporting on technology trends, and building and managing a database of contributors interested in working with the Air Force. crazy thing that happened after we did this interview, they announced a partnership with another podcast guest capital factory. should be an enlightening conversation. We’d love to hear your thoughts on it. So as we have this interview with Vince and Luis, if you have any thoughts, you can tweet at us at upside FM or email us Hello, upside down FM. And we’ll jump into the interview right after this. And now for some validation. Jay, what’s better than coffee in the morning? Is there anything better than coffee in the morning? I don’t know. I just got a new notification that I got a rating and review on upside. And that feels a little bit better than coffee in the morning to me, I picked me right on up. I could take some dopamine in the morning. I believe it’s a human chemical process. Alright, so human chemical processes in the morning, I got a notification this morning that said, Hey, Jay and Eric have a way of revitalizing the classic startup interview style and making the content fresh and fun to listen to. Okay, and an ocean of startup podcast upside isn’t a league of its own. And I would highly recommend you give it a listen. That’s from pile ocean. I think if I’m looking at the same review that it’s probably pilot Ian and not pollution. I think it’s pollution. he’s a he’s a Greek god. That’s that is intense. It does sound like a very powerful review, which I appreciate and has a lot of weight to it. One that I would attribute to a Greek god. I agree, if you guys want a chance to have your review, read on air, please go on iTunes and leave us a review for the podcast. And we just may read it here in the morning. Five stars Greek gods pollution. Let’s do it. Luiz and Vincent, welcome to the show. Hey, thanks for having us. So we like to start with a background of the people were interviewing. So let’s start with you. Can you give us a kind of run through of your background? The history of Louise? Originally from Albuquerque, New Mexico. Okay. Very cool. Nice. And Vincent, what about you a little background? Yeah, so I’ll go the opposite Luiz, I’ll start in the beginning. I’m a graduate from the University of Dayton. I have both my undergraduate my MBA from there, and I took a job with Wright Patterson air force base and the contracting career field. So I started out in the simulator world, and from there, I moved to a program called Larkham large aircraft infrared countermeasures. Both of those are kind of sole source acquisition kind of contracting environments, a little bit competitive, you know, with the contractors, sometimes argumentative but ultimately really helped me get my chops for the for the next phase. From there I moved into the longer instruct bomber now known as the be 21 program office. It was a class I prayed with the time it’s it’s since opened up a little bit since we’ve made our initial award of the new be 21 bomber. And I worked in that office for six years as a contracting officer. And from there, I moved over to a group called PCI, so they handled all the non program for record acquisitions within the Air Force. And I was fortunate to get the opportunity to work on the light attack program. This program was special because we use non traditional acquisition tools to fly airplanes in the middle of desert, we flew the a 29 and 86 aircraft weapon systems in the desert at very little cost of taxpayer ultimately leading down to hopefully a program or record for one of these platforms on that was very successful. From there, I did the face to have that effort in the Air Force Research Laboratory, where I was moved. So we can continue to use these Octa other transaction agreement of tools and other places in the military. I spent one year in the Air Force Research Laboratory, and from there got picked up by half works as the director of Agile contracting. My job with that works is to find acquisition pathways for the different companies that come in to support our requirements. I’m very well versed and other transaction agreements, and far based acquisitions. We’re also exploring some some new types of acquisitions that should help encourage competition in places where it’s never been before. So even in some what would have been sole source acquisitions, we’re finding ways to infuse competition. I also act as kind of like a Babel fish. For the operational community app works has a really strong outreach to the operational community, we’re actually run by a lot of active duty military types, not the business side, so that they don’t understand the acquisition piece very well. And it’s just very foreign to them. You keep saying acquisition, and in the business world acquisition oftentimes talks about like, okay, we’re buying another company, or we’re acquiring customers, and it’s a little bit different in this space. Can you talk about acquisition as it relates to the government? For sure, yeah, government acquisition is actually an inherently governmental activity, it’s when we go out and procure goods and services on behalf of the taxpayer and my case for on behalf the military, for our troops, we can go out and normally we those weapons systems, those airplanes we fly, those are produced by our industrial base. So your Northrop’s your bones are lucky, these are big air framers, and, and we have to go and help them develop those airplanes. And ultimately, procure them for fast sums of money. Oftentimes, app works goal is to help Ben that cost curve a little bit, bring down the cost of goods and services, and really bring agility into our acquisition processes. So we’ve talked about Africa a little bit, we have the kind of high level what it is, I’m kind of curious, as a student of history, the history of Africa, where did it start? Where did it originate? Doesn’t have like a predecessor that kind of emerged fell apart? What happened? Like, how did we get to this idea? So government acquisition has had a history of iterations that have gone all the way back to the Wright brothers Sally’s for the Air Force. And we’ve always tried to do things better, faster, smarter. And sometimes, bad things happen. So the in the history of the military history, the Air Force, when those bad things happen, our lawmakers, Congress will go and make rules. And eventually those rules codified themselves in the federal recognition regulations. It’s a very, very thick set rules. And then on top of that, the DVD has a supplement to it, which is another set rules. And then the Air Force has another supplement on top of that, which another set of rules over time, you know, we’re very reactive in government. So if there’s something that that happens, we make another rule to say that shall never happen again. And we will try to protect against it that way. Well, over over time, it becomes burdensome, there’s been tons and tons of different acquisition reform initiatives that have gone on throughout the years, back into the 80s. But this one has some staying power app works, because we have complete senior leader by in. So Secretary Wilson has supported us from the very beginning, Vice President Pence came out to open up our facility in Vegas a year ago, we’ve only been in existence for about a year. And in that short amount of time, we’ve been able to really advance our war fighters requirements in a much faster way than the traditional acquisition process would have allowed for, where did the name come from? That’s a good question. Actually. It’s just an acronym that stands for anything, we really want to capitalize on the works mentality. So if you look across, there’s software since cyber works and works kind of fits into that, you know, we’re spelled with an exit the end of our name, you’ll see some of the other innovative organizations within the God also have that x, kind of highlighting the experimental nature of what we are doing in our first case doesn’t stand for experiment, but in other duty organizations that has, so it kind of helps identify us as part of that innovation culture that exists within the government. I think, going back to the question of history, the Air Force has a legacy of being innovative. And they have a history of being cutting edge and leading in an industry a lot of times the Air Force, and God if we if we want to consider the whole picture has led the way for a lot of innovation that’s happened over time as bled into industry. And I think what he said a lot about some of the history and the acquisitions, and some of the hurdles we’ve had to go over. Right now where we stand, we’re now looking back at industry and saying, hey, there’s a lot of ideas. And if even look back, some of the way business was structured, you know, coming back, right after World War Two, some of those major pivot points in history for us causes to leap forward in different ways. Well, you have a lot people coming back, they live in, in a different type of environment, whether we’ve had the war culture, whether we’ve had whatever you want to call it, right, we’ve gone through our own Great Recession. So a lot of trigger points have really made people think I think a lot more creatively a lot more autonomous Lee, and so I know I’m painting a little bit bigger picture that really feeds into the culture that that the Air Force is really, I wouldn’t say creating, but reinforcing because it’s in pockets all all across the Air Force. And he mentioned soft works and and other pockets of innovation efforts is really taking a look at it holistically, and saying how can we really affect the whole affect the culture, not just the technology aspect. So I’ll get into a little bit of the background on on how we how we got to this point, these different acquisition reform initiatives that highlighted before those speak to a change in our culture. Back in the day, the day being like the 60s and 70s, the government was the biggest driver of research funding. And we were responsible for all sorts of material that we’re going your shoes, those are things that were developed for the space station, and, you know, all this research funding Well, now we look at the world is changed. Google, Apple, Facebook, Microsoft, they’re outspending the government four times, five times and pushing innovation, and research and development spending. With that change is coming change the way we have to do acquisition, we had to really find a way to link up with those technologies. And AFWERX’s goal is to connect with those groups. And my perception of the government and specifically things like Defense Research, or any type of really most advanced technologies, I have always had the perception and the assumption that a lot of that came from a government program or a government need. And now as I get closer to, you know, startup companies, they often fear going down the acquisition path because they think it’s going to be really slow. So it’s this strange dichotomy that kind of has evolved in the culture right now where it’s like, it used to be that the end was happening in the government, as you’re kind of saying, and now that it’s happening in the private sector, they’re afraid of the the slow acquisition to bring what they’re developing into the government sector. And it sounds like you guys are trying to bridge that gap a little bit. Oh, that’s definitely accurate. I mean, sometimes we’ll talk with companies and when I asked, hey, we’re the government, we’re here to help, what can we do to help you and they’ll tell us stay out of our way. Don’t slows down your bureaucracy is not worth of time. And we’re really trying to change that mentality. We’re here at CES letting all these technologists know the Air Force is open for business, we’re ready for the technology we need the technology are near peer emissaries are, are very, very near. Agreements. Tell me more about what those are. cost share, you said so like, if I’m developing something, the government will help subsidize the cost of that development? a lot of the things you’re saying you’re throwing out a lot of lingo that like you clearly know very well. And so it seems like then that I could probably pick up and learn, but this is probably what scares some businesses. So Luiz, is this kind of your territory where you take that and try to make that simpler for the people who could use it? Yeah, my role is definitely being a translator and saying what we call government ease, and Marissa to more of what we would think in general public. So what is he saying basically, is that the Air Force is open for business. And we’re going to find ways that we can match what you’re offering to a need that we have on the airport side. And then we provide the expertise to navigate our cumbersome system. Can you maybe give me give us a tangible example of like, walk me through this, this process that we just heard and had all these statutes and things that I like a lot of lingo right? Give me something like okay, company comes to you, and how does this work with a very specific example. so in our case, manned airplanes, and they were to augment the 810. So the a 10. warthog is the only attack aircraft that dedicated tech aircraft we have in our fleet. And it is overcast, you know, closer Support Mission is something that attack aircraft typically play a part of, and there’s just too many tasks for it to it’s an older aircraft to sustain itself. So the government was having to use stuff like the 15, to augment it, and F 15 is on the order of $45,000 an hour to fly and operate a 10 is maybe close to $15,000 an hour to fly. So the concept was Let’s go find a light attack aircraft that is much cheaper, maybe in the thousand and $2,000 range an hour to fly, and cheaper to buy in the front end as well. So these aircraft are nowhere near the capability of and a 10 from there from it’s hardened standpoint, or the speed and 15. But you really need that when you’re flying over, you know, people in Afghanistan and Iraq, where you control the skies, and there’s not a bunch of anti aircraft. So is the concept. And the business deal that we offer to the contractors was, we’re not going to give you any money up front will allow you to use the government ranges will provide fuel for the aircraft will provide a pilot’s to fly the aircraft and we’re running through a full battery assessment on your for your cost share, you’ll let us use your aircraft, you’ll train our pilots, and you’ll maintain those airplanes over the course of our experimentation. So so that was the business deal we set up front. And that’s really advantageous to the taxpayer, because I didn’t actually spend any appropriated funds. Yeah, you know, directly in the program, it’s really advantageous for the contractor, because they got the aircraft in front of the biggest buyer of airplanes, and they got a government assessment out of it, there’s a mutual benefit. And, you know, my job as an acquisition professionals to try to find where the those mutual benefits are. And it’s not always money, but to be able to make a business deal and really look at the deal to execute, hopefully, what will become a production program in the future. So we flew this experiment out at home and Air Force Base is very successful. So successful with it around to all the experimentation with a smaller subset of contractors. The first round, we have four, and we continue the path with with the any of the planes that finished, you know, certain tests that were successful with all the tests. actively looking for a solution based on a problem set that we have. I’ll give you an example, we hosted a challenge, we needed to redesign our fighter pilot helmets. And they really hadn’t been touched in one of the numbers I saw was really around 40 years, they’ve been messed with modified, but not really redesigned. Well, that’s a long time to go with how to redesign on anything on a hardware piece. So we had an open challenge we send out to unsolicited, maybe that Felicity, my I don’t if that’s the right word to use, but we went out and looked for businesses that would match that, right. So they came they showed what they had, they were able to show their prototypes, and you had decision makers or art, what we would consider our customers within the Air Force, being able to look at each of these, and select who they thought at that point would be a better fit to move on to the next stage. Once they selected what that group who that group would be, they gave them that criteria. And then they’ve got to move to the next next phase of presenting further down. Now the funding associated with that. So they can start narrowing it down more towards that, that military need. But its opposite of us saying this is what I need. At the end, we’re able to go look at startups look at the public and have them say this is what we think your solution should be or should look like. It allows us to maybe consider things we hadn’t thought of, maybe include certain technology or actually aspects of it that we didn’t even think might be something to, to build off of or consider. So it really starts opening up a dialogue that’s leading down other paths. So if you go to F words, challenge com, there’s a list of challenges that are already there. And you can check it out. And you can go see what challenges that we already have calls out for and that businesses, small businesses can go and take a look see if it’s something they’re interested in. I have a I have a question. We’ve kind of talked about being out on the airfield and these challenges. Let’s bring this back to see us which is where we’re sitting right now. How do you guys define success here at CES? Is it just getting your name and this idea out there? Or are there like some tangible metrics that you guys want to walk away with? Okay, so I’ll answer the part when it comes to just getting our name out there, there is a and demystifying the story of what it is to work with the Air Force. So I think just us having a presence is a win, and it’s a success for us. So it’s our second year here. And we filled a lot of questions. So we see the engagement aspect of it, the types of question. So not just Hey, who are you? But now people coming across and saying, oh, I’ve submitted for one of the challenges or have been to the website. Oh, I know what you guys do. So there now there’s some familiarity. So raising awareness is one thing in the eco, well, in the ecosystem is another. And so looking at from a publicity marketing standpoint, sometimes before we can ask people to engage with us, they need to know who we are. And so that’s really, really important for us, it’s just to have that brand awareness. And I’ll consider that a success without getting too deep into the other side. So on the on the other metrics, we’re looking to see what other technologies are out there, and to clue them into the fact that we exist on an on a very personal level. So scouting the different booze, seeing what’s possible. Our mission statement for for works is connecting innovators accelerated results. So we have a whole list of government partners on our side of the house. And we know what their problems are, we know where some of their pain points are. And maybe we haven’t even met them yet. But we’ll meet them in the next few months. And it’ll really sure Oh, I saw this thing at CES. And this is a political solution for you. And we’ll make those connections happen. One of the products that afterwards offers are hubs. We have three hubs, one in Austin, one in Vegas, and one in DC. And those hubs are situated with facilitators that can bring teams through problem definition workshops, we can host events, there were people come in and showcase or items or actual prototypes are already existing, and really get the warfighter the hands on opportunity to touch and feel it. So this gives us an ability to stay connected to that culture. So you talk about the challenges, and you had the open ended challenge where you’re like, I don’t know the solution. But we know the problem come in and design a challenge for that. Is there a path for companies that have a product that they think might have a market need for the Air Force to come to you and say, Hey, I have this and I think it’s applicable to you? We’ll host pitch competitions, we’ll also do accelerators. And so if we know that, hey, that idea looks like it might be viable on some level, and we want to say report that for startups that might need help with the funding aspect of it, then we could get into the different contract pieces as to how they can get past what we sometimes call the valley of death or getting to that place where they have something now that’s at least minimally viable product, that we can then say, hey, maybe we can either scale it get into manufacturing, and will help through that process. So right now we do, we’re working with TechStars, out of Boston, we’re running a tech accelerator right now. And so those are, that’s just one of many, if you go down in New Mexico and Colorado region, you’re going to see something called this hyperspace accelerator. Like I said, there’s all these pockets of really just trying to plug in into where we can get ideas. And then how do we support them? We’ve also linked up with SBIR funds, and so specific part of money that Congress to set aside for small business innovation, and they their tagline is the seed in front of America. And SBIR is S-B-I-R, do you know what that acronym stands for? Small Business Innovation Research funds, okay. So works is linked into this, we were part of a group that went out and issued 104 contracts and 40 hours, and it was all super phase one awards. But phase one award technically go up to $150,000, our average order size was approximately $70,000. And in that phase one, it’s really just like a proof of concept. Is this something viable. So for those companies that think they have a really cool technology that the Air Force should be using, this is a great way to get in front of us with a little bit of funding. And then part of Africa’s job and the job of the company after they make that phase one award is to go find an Air Force customer from there. And that’s how you get your face to award. Phase two awards are typically around $750,000. Again, that money is coming out of the super fund. And then from there, if you found that Air Force partner or that that’s going to champion your product, for the phase three award, they’ll go into their palm the money so they’re appropriate of money from Congress, that to go and fund that. And there’s no real cap on that they’re going out and executing production deal for this now. That’s it, that’s crazy velocity, the hundred plus contracts and like 48 hours, is that part of this agile contract you’re talking about? That’s new, like did SPR phase one funding take longer before. So, yes, it did take longer before is more about the approach. So the people that executed this found a way to pre populate some forms, that would have just taken a tremendous amount of time on the front end. And they they were will do that through some tools on the G sweet, ultimately, that was that was a big enabler, getting all the relevant parties in the same room. And having a concerted goal, we’re going to knock out as many of these as we can, and 40 hours and they were they The goal was only to do 40 contracts and that type of 104. So it was very impressive task. It’s not a sustainable, like, it was a very concerted effort. So for day to day Ops, it’s not something that we can just go to the well, and this is going to be how it is every time. But we certainly open the eyes to big air force on what’s possible. So from this as growing out the center of excellence that’s going to be housed at Wright Patterson Air Force Base. And they’re going to take some of the tools that we prototype to effectively efforts and others prototypes in this hundred and four contracts effort. And they’re going to, you know, institutionalize some of those. So it’ll be business as usual, for that Center of Excellence now, and they get really good at it. And we can actually utilize the seed fund that Congress has given us. And I think an important takeaway is that if it’s SP IR process, or some other contracting, or partnership, app works, will help you go through that process. So the small business doesn’t have to feel like they’re going through it alone. We have our customers on the Air Force side, not feeling like they’re going through this procurement or acquisition process alone. You have a team dedicated it help that. Yeah, no, that’s, that’s, that’s a fair way to look at it, some grants and the government our assistance instruments, and we have procurement instruments, which are contracts. So servers or contracts, rewards is there, it’s a real procurement, but it’s treated very much like a grant in the classical sense that you would think about it. So the US government doesn’t typically take equity in businesses, we’re not China, or venture capitalists. So the venture capitalists would go and take equity and ownership, we have far less strings attached. So it’s actually better for the small business, we’re going to give you an award for you know, X amount of thousands of dollars and, and part of that is go find a customer in the government, you know, so it’s a it’s a way to give them provide funding to enable technic technology development, and to really keep those companies interested in doing business with the government. You mentioned yesterday that phase one is sort of like a customer development or validation. Yep, award to say, okay, we think this idea has some legs, here’s some funding to afford the validation, that customer discovery. And if you do discover the customer and you validated, then phase two has a much higher top line available to it. Who’s the hardest person to work not person who’s the hardest organization to work for with the government? Obviously not networks, you guys are great. Work for or work with? I don’t know if I’m if I’m a start up here. And I want to be involved in like selling to the government like where’s the where’s the biggest pain point and getting in? The biggest pain point is just the processes that we normally put in place that are you come out of the far are challenging for small businesses, the requirements, we levy on financial requirements, reporting requirements, we level levy on some of the contractors can be challenging, we have offered for those and caveats were maybe a small business doesn’t have to comply with some of the cost accounting standards that we hold our beer companies to. But getting through the details of what rules apply to whom and understanding how, how personalized contracting is really across the God not just the Air Force, but every single base has local procedures. And in that, and then that makes it really hard to say blanket Lee, this is how you do acquisition with the government. So I haven’t always been on this side, I was in the operation side of the military. And then coming from industry working in media was the background. Where I’ve had, I think some of the pain points is the language, I could use the same word. But it can mean two different things. And I think when I apply that back to us interacting with industry, small business, and where we want to put in the public bucket, sometimes I’m really excited that I can do something with small business, I have this great idea. And then I go out and I, I talked a whole nother language and I didn’t get the response I wanted. So sometimes just take taking a couple steps back and saying maybe the words that I’m using or maybe the way that I’m packaging, this really cool idea isn’t resonating. So I think one of our challenges is actually understanding our customer base. And that’s where efforts is really looking at is saying great. We have this cool idea. We can connect with innovators, we can accelerate the results. And we have all these cool buzzwords. And when it comes down, at the end of day, we’re connecting with people. And that’s where we have to make that human touch. And so having the expertise, I mean, Vince is amazing. I don’t want to him to go anywhere without me at this point. Because when it comes to how we actually execute these things, he definitely is his weight in gold. Now how we translate that, that takes the Air Force a little bit of work because we don’t live in that world. We’re thinking Warfighter needs, we’re thinking, national security, national defense, we’re thinking protecting our nation. And and, and the seriousness that comes with it. What’s cool about efforts is we’re in this really innovative space right now. It’s new to a lot of us from just in how we live. And you guys probably operate in this space a lot more frequently than obviously we do right, you live in it. So for us, we’re it’s there’s this passion and excitement. And so in that, as well, we’re getting to meet cool people, we’re going to do cool things. And so there’s a little bit of refinement I think we’re doing in the language peace. But at the end of the day, it’s people connecting. And that’s where the trust comes in. And so I really think at the very beginning, we’re just building relationships, and saying, Hey, listen, the Air Force is out here. And so part of our job is to go out and build those bridges, and say, Hey, if you have a question, I’m a slow my roll. Let me walk you through why this is really cumbersome. And this because we’re we’re trying to match a really agile environment and living space in this whole startup entrepreneur, community, and ecosystem to a very old, slower bureaucratic, risk averse environment. And, and so there’s going to be a natural adjustment. And I think that’s just where we’re at right now. And if I may, we’ve developed entire industrial base that is very good at complying with the government’s rules and regulations, but it’s developing a very wide mood for them. So they don’t have the same as the competition. So with the other transaction agreements, I’ll talk about one of the companies was texture on that that had had one of the wards, and they have predominantly commercial business, they do some defense, but most of their stuff on the commercial side. And their CFO came to me and said, Vince, this is awesome. This is how we do business, with all of our commercial partners or contract with eight pages long. That typical contract would have been in the hundreds of pages long, with all sorts of ridiculous clauses about, you know, vending machines taking the US dollar coin and other stuff that Congress put into our farm to try to drive compliance. But that really just kind of convoluted process. Yeah. So talk to me about sort of at a macro level, where policy as a country is like, is this going to continue to get easier and easier as it’s going to continue to be a priority for our government? Is that Is there any risk of that changing? I don’t live in the political governmental world. So I don’t know how quickly those wins can change. From AFWERX being like an agile innovative organization, that’s that’s obviously a priority that you guys are taking right now. Could that change? With politics, at least the military, we look to something called the the national defense strategy. In that document, it kind of calls out what our priorities should be. So from presidents of President for administration administration, these change under the Obama administration, global warming was actually named as one of the top risks to our country, from the National Defense standpoint, under the Trump administration, there’s no mention of global warming at all. And then in that document, that administration is focused on reducing policies, and all the all the constraints that that we’ve had in the past. So for every policy that’s out there, their new policy, they’re trying to eliminate three policies, I could be wrong in the number. But ultimately, they’re trying to definitely reduce the number of policies. And and that’s written into our documentation. So our surgery, Wilson has taken a look at all the different policies that exists within the Air Force local procedures, and she’s wiping out mass amounts of them to help streamline the process. Now, all those policies came from something that we talked about before there was a problem that it and they are trying to protect against it. But you got to get back to a place where you’re trusting these very intelligent individuals that they’ve hired to go make the right decision in to have a culture where failure is not crucified. The government, in the military specifically has always been like a no fail mission. And every acquisition is turned to a no fail acquisition. You don’t want to be on the front page, because you fail at the tanker program had in the past. And these are the stories they continually bring up. Well, that culture has to shift. And the Secretary is leading the charge on that for us in the Air Force to change that culture. Dr. rover who’s our top acquisition official in the Air Force has continuously brought about this desire to change the culture and he’s created what’s called the celebrity award, running with scissors, he wants someone to bring him the biggest failure and he wants to reward them for that big failure to try to change the culture. how is this different in I understand how it’s different in helping people like connect, but in terms of pushing things forward, how is this different than like DARPA? okay, so DARPA is going to look at future technologies, unobtainium stuff that is, is in a much longer time horizon, the network’s Africa time horizons, typically six to 18 months, we want to deliver innovation. So the warfighter today got it, if possible, and DARPA is gonna be looking much further down the road, at their innovations and really broader concept. So I think hypersonic, you know, stuff that’s going to take years of development to really execute on were much shorter time frames. So DARPA would be more along the lines of an Air Force Research Laboratory, something that is going to be more r&d long term looking out afterwards is that in between is saying, hey, what can we pull off the shelf now to meet an immediate need? So we have a lot more flexibility, agility, Within that. I’ll give an example. We’re looking right now at multi domain operations. So think airspace cyberspace, we have assets and all those places, how do we control them in the battlefield, all the same time so we can maximize their their kinetic effects, or any effects for that matter, making sure we have trusted communication between all those assets is a big piece of that. So we’re trying to apply blockchain to our communications to so we know that what the satellite told airplane is really with a satellite told airplane, and not what someone wanted us to think our satellite till they are fine. And so we’re trying to take these really off the shelf technologies like blockchain exists, people understand how it works. And it’s been flushed out in the currency world. Well, let’s try to do that for some data assurance and see if that would work, and will experiment with him. We’re gonna try it out. Jay, going back to your question on the macro as well and saying, is this sustainable to continue going? Or maybe was Eric asked a question, sorry. But going down that road of Hey, is this sustainable to keep that perspective? And I want to say yes, and I think it is yes, because it’s not just an app works initiative, you know, it only works. But you have organizations across the Air Force, not just pockets of small pockets of this push, but also large ones. Air Force Research Lab is a good example, where they have a tech transfer office, you have dedicated offices that we interact with, to say, Hey, this is something to take a look at, or Hey, and you have people or what we’re calling champions, within each of those organizations that are helping challenge the culture, as he was saying, making people more feel more comfortable with trying and not have a no fail mission, a mindset. So I do think, and it started at the top, and we see the bottom, really excited about this. Some examples. So I’ll talk to you about or Spark cells, little at each of the basis having an innovation hub, or sell as we call it, where airman or employees can go and try an idea. Maybe it’s with a major hub next to it right commanders that each of these bases, setting up funds, for if an airman or an employee has an idea, hey, go try it out. Let’s see if it’s something that that would apply. We have spark tank. So at the Air Force Association in Orlando, Florida, they’re going to to highlight a few of these guys had some great ideas, Secretary of the Air Force, Heather Wilson will come out and present them either with you know, being selected or an award as part of that. So these are just things that are being adopted at each of the different locations now to to help keep that momentum going. Because Africa can’t sustain it all by itself, it has to really just get into the culture. And that’s you’re seeing more and more and more, we have tons of stories, you just type app works in your search engine. And you’ll see some cool stories popping up. We talk about the innovation ecosystem a lot. And where’s afterwards role in that. And I like to catch it as we’re bottoms up innovation. So we take the idea that our airman entrepreneur has, and we find ways to resource it, to elevate it. And those ideas don’t have to be for a product, it could be for a process change in the Air Force just to make us more efficient, I look at a lot of acquisition changes we can make within the Air Force, and how we can increase competition and get a better value for our taxpayer. But from our standpoint, that’s where we fit, you can talk to you, they’re going to look at more the pulling stuff out of Silicon Valley, or athletic, which is a new organization that’s stood up to kind of look at that five to 10 years steering group of where technology is going to be, you know, the Center for rapid innovation of the cry office, they’re going to be looking at the combatant commanders, top 10 hit list of what the troops need right now, but are just really, really hard problems to solve. So we all kind of fit in these different spots in that innovation ecosystem. And we’re finding a way to play nicely together and really hone in our niches. So we get the most value out of innovation. We have, we have a whole host of products to help on board these companies. One of those are through our special topics servers that we post, you can see those on FB, oh, fed biz Ops, which is the website that is our public Clearinghouse effectively for all government requirements. And I encourage all all small businesses to go and search there and be creative with the applications that you see your technology, your business could fit in with our requirements in mid form. Bit on those submit the white papers, you’ll hear the solicitation similar to a call it brought into the announcement of VA, those are very wide ranging topical things like I’m really interested in lasers, I might get paper, white papers on offensive laser capabilities, defensive laser capabilities, entertainment capabilities. So submit to those and those are more opportunities to engage, you know, with the government in general, if you go to our challenge website, you’ll see here’s what Africa is really focused on right now for our problem sets. And we have anytime you see a challenge on our website, we have a mission partner with funding rate a two pair with you so so you know there’s there’s money behind these symbols, and release to stay engaged, come out to the events, go see our tech accelerators get involved with the process, come to our hubs come into our hubs and talk to us for in Vegas, Austin and DC check us on the website for those locations, they are open to the public. So come and engage in there’s people there to help you vector into whatever your technologies is to to our requirements. We have afwerx.af.mil, then people go to has general information and all the different capabilities that we can provide them. So if it’s a particular problem set, or they have a particular product, and they think it might fit one of those capabilities. Great, we’ll do an assessment and tell them hey, maybe this is the lane to go down based on on what we have in information. The second, like you said, after sounds calm and see the type of challenges getting an idea as to what we’re looking for. And we have three locations across the country. And their storefronts walk right in and on the website is the location information and a number they can get ahold of them. And I want to give a little bit more information on our effort challenges that’s powered through a software called certificate. And it allows us to crowdsource the ideas. So with the helmet challenge, you know, we had well over 100 submissions, and users in the community voted up and down those submissions. So we got to the like that top 10%. And we invite them in for you know, pitch on those submissions. And then from there, the the viable options will fund with prototype contracts. But we’re using the technology that’s out there. We also use idea scale internally to vet those interpreter ideas within the Air Force. awesome. Thank you guys so much for taking the time, hey, this is a really good step and demystifying some of this and and helping to make it a lot simpler in people’s minds. So Jay, thanks for having us. With the amount of information we have, you might have to make this a two part series. A great, great the keep that in mind. So Jay, we just spoke with Vince and Luiz from AFWERX. What were your first takes? something that they brought up a couple times the interview? That makes sense as an answer to something we said in our intro here. Most startups actively avoid working with the US government. And maybe maybe that’s not quite fair, it seems like there’s there in one of two camps. They’re either actively avoiding it, or it is their sole strategy. Very rarely does a company add Government Relations and the government market as part of their larger strategy. It seems like Africa is making this easier. But it’s still seems hard. Like, without afterwards, I couldn’t imagine how hard it is. With AFWERX, it still seems hard to me. There’s so many acronyms, there’s so many things that are happening. There’s so many programs and great and understanding how this whole big bureaucratic system works is obviously app works job to be your front door to Air Force innovation. But it still doesn’t feel simple. I think when we talk startups all the time, we we think, simple. This is one idea. This is an MVP, this is our market, this is our target customer. And with the government, it just feels harder. what that doesn’t work with a metaphor. What I The other thing that seems scary to me about this, if I’m a startup and I’m trying to work with the government, it seems like you’ve really got to be keyed into the cycles of elections. And who’s in power when he did say that right now they’re in a good spot, because they have complete leader buy in. And he thinks it has some staying power with where they’re at right now. I like that. I do think that things like spr, spr grants have been around for a while and have kind of a tried and true method, Michael, from three firefighters, he applied for an SVR grant. And for a long time, I’ve heard that as a strategy for a lot of startup founders because it is, if you can get it, it’s a really good deal because they give you significant seed funding in the form of a grant that you can then match with an even larger grant if you get a customer, something that Vince called it. And I think Luis back this up as well, procurement without ownership, that’s got to be attractive to a startup founder. Yeah, that was my biggest takeaway as well as, okay, there’s this process that once you get into the process, and you get accepted into it, I just clapped I don’t think I’ve ever clapped on the podcast before. But I got I got pretty hype about that. But once you get it into the process and into the funnel, and you start making your way through it, there is a ton of money there. It’s really just the getting in part. And I think that’s what AFWERX is trying to solve. And with the example of with these SBIR grants 104 contracts in 40 hours, they’re able to get through when they had the right people in the room. This was this was the unsustainable part, which was we basically collapse this process down by getting all the right parties together in one room and saying Let’s bust through as many of these as you can. So to me, there’s some hope there because it saying the process is simple enough that with the right people getting buy in, in a certain period of time, we can do it quickly. So I do feel like they’re taking steps in the right direction. It seems like a real opportunity for founders who have research and development ahead of them for something that can have a government application. Because I can’t imagine a better source of funding than one that does not include giving up ownership. Well, if you guys have any thoughts on this episode, please tweet at us at upside FM, or email us hello@upside.fm if you have any experience working with the US government, whether through app works or a similar program, or if you if you’ve received an FBI or grant, we’d love to hear from you and talk to you and hear about your experience and what that was like. Otherwise, we’ll talk to you next week. That’s all for this week. Thanks for listening. We’d love to hear your thoughts on today’s guest. So shoot us an email at hello@upside.fm. or find us on Twitter at upside FM. We’ll be back here next week at the same time talking to another founder and our quest to find upside outside of Silicon Valley. If you or someone you know would make a good guest for our show, please email us or find us on Twitter and let us know. And if you love our show, please leave us a review on iTunes. That goes a long way in helping us spread the word and continue to help bring high quality guests to the show. 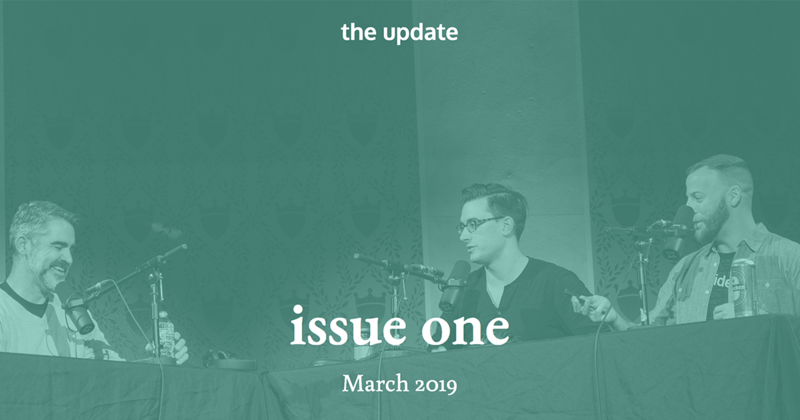 Eric and I decided there were a couple things we wanted to share with you at the end of the podcast. And so here we go. Eric Hornung and Jay Clouse are the founding partners of the upside podcast. At the time of this recording. We do not own equity or other financial interest in the companies which appear on this show. All opinions expressed by podcast participants are solely their own opinion and do not reflect the opinions of Duff and Phelps LLC and its affiliates Unreal Collective LLC and its affiliates, or any entity which employs This podcast is for informational purposes only and should not be relied upon as a basis for investment decisions. We have not considered your specific financial situation nor provided any investment advice on the show. Thanks for listening and we’ll talk to you next week. Vince Pecoraro is the Capability Lead of Agile Contracting for AFWERX. Luis Cordova is the Liaison of Public Affairs and Marketing for AFWERX. Established in 2017 by the Secretary of the Air Force and reporting to the Vice Chief of Staff of the Air Force, AFWERX is a catalyst for agile Air Force engagement across industry, academia and non-traditional contributors to create transformative opportunities and foster an Air Force culture of innovation. The ultimate aim is to solve problems and enhance the effectiveness of the Air Force. 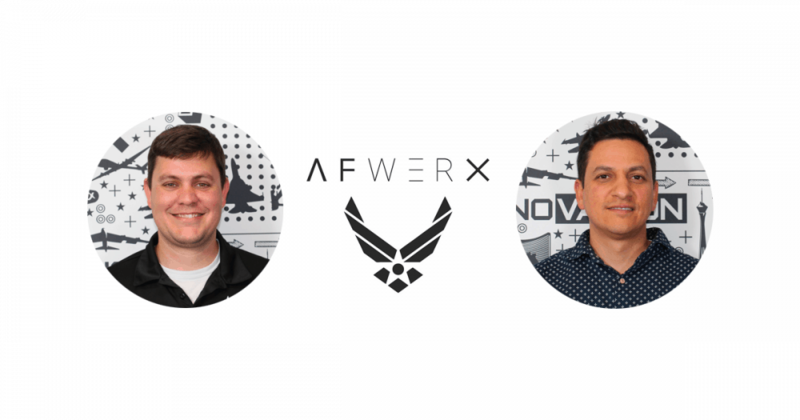 AFWERX combines startup urgency with the largest pool of motivated talent in the world to uncover opportunities to improve Air Force capabilities, connect and engage the right stakeholders, and facilitate outcomes. AFWERX has hubs in Austin, Washington D.C., and Las Vegas.